Join Rebuilding Together at an upcoming event to help provide healthy homes! We know that home repair is expensive, physically demanding and time consuming. Rebuilding Together Aurora is here to help. 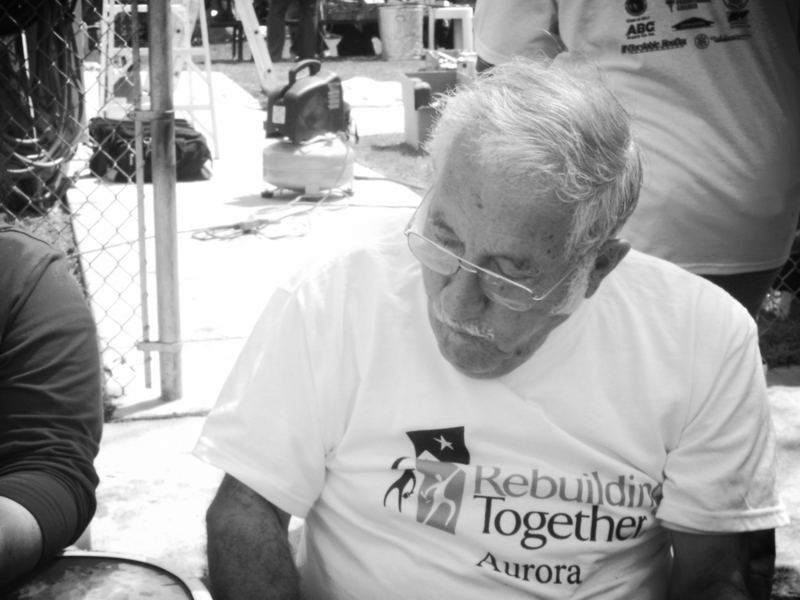 Rebuilding Together Aurora organizes volunteer teams to provide large-scale home repair, small handyman repairs and energy efficiency upgrades to families in need. All services provided by Rebuilding Together Aurora are free of charge to qualifying homeowners. Meet the HUD low-income guidelines for the number of people in the household. This includes temporary or unrelated residents. Rebuilding Together Aurora receives a significant number of applications every year. Applicants can expect a 2-12 month waiting period, depending on time of application and repairs requested. Step One: Apply. Submit your application with all required documents. A letter will be sent confirming receipt of your application in full. Step Two: Home Preview.Once your application is received in full, a small crew (2-3 people) will be scheduled to visit your home. Their job is to review the items you applied for and create a comprehensive list of potential home repair projects in your home. This crew will take photos and talk with you about your needs. This visit usually takes an hour and will be scheduled approximately one week ahead of time. The preview team will compile a report with photos and recommendations for every home they visit and submit it back to RTA. This preliminary home preview allows our Board of Directors to select the projects within our means and volunteer ability. Step Three: Interview. After preview of your home is complete, our staff will conduct a homeowner interview. This is a 15-minute conversation either on the phone or in person to get a better understanding of the requested repairs, to clarify any missing pieces of information from your application and to get a bit of background history to share with potential volunteer teams. Step Four: Project Selection RTA’s Board of Directors meets regularly to review applications and select projects. A letter is sent to each applicant informing them of the decision. If your project is not selected, you are welcome to re-apply at any time. Stay updated on news and upcoming projects and subscribe to our newsletter.